Toto is a premier manufacturer with a keen focus on people. People-centric designing of Toto products provides a superb avenue to improve the washroom dynamism to its best. Toto also implements people-first innovation to streamline the actual wants from the product and its deliverables. The overall experience of using a Toto product is amazingly remarkable due to its comprehensive deliverables in terms of aesthetic upgrade and the seamless performance. Toto unveils the true potential of a washroom to satisfy every essential element. The concept at Toto for Whole Design makes a lot of sense and delivers environment friendly solutions forever. Toto presents a premier avenue to provide superb customer service and hospitality with its high-speed automatic hand dryers. These dryers are designed to excel in meeting customer expectations in every sense. Toto in fact, offers complete control of hand drying. These dryers eliminate the need for paper towels and offer freedom from the mess of used paper towels. The dryer is designed to offer the quickest drying of hands and it shuts off automatically on the predetermined time interval. 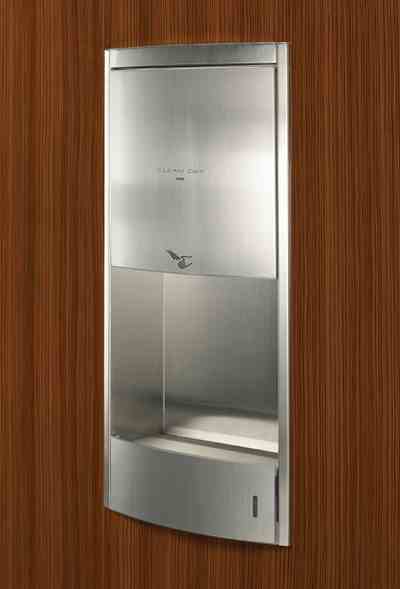 Toto provides a simple yet intuitive interface for granular control of the washroom functionality. Minimal cost of operations and maximized performance of these Toto dryers makes a huge positive difference when consumer service matters the most. 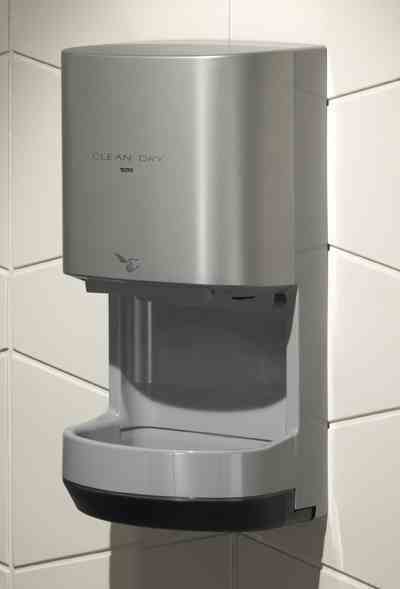 Toto HDR100#GY CleanDry High Speed Hand Dryer is a stylish product with a superb user interface. The dryer comes with a fully automatic control. Toto presents the dryer with virtually fit and forget application. The dryer has a powerful and silent motor for the delivery of 224 MPH air speed at mere 62 dB noise rating. Toto offers 12 seconds hand drying offering the quickest drying in the industry. The dryer has integrated infrared sensor for the real time motion detection. Automatic shut off timer of the dryer allows minimal cost of operations. The overall experience of the wall-mounting dryer is excellent in every sense. Toto adds innovation to the dryer by providing a drying tray. The feature offers clean and dry floor. Toto HDR110#SS CleanDry High Speed Hand Dryer is a hardwired AC powered product with sensual designing and the perfect user interface. This fastest automatic hand dryer comes with mere 12 seconds hand drying. Toto offers automatic shut down to prevent wastage of power. The wall-mounting dryer comes with state of the art infrared detection system for real time motion detection. Toto offers a drip-tray for dry floors. The low noise motor is designed to deliver a powerful air blow of 224MPH at mere 58dB. Toto integrates every essential element to add flair to the user experience. The dryer meets UL507, CSA C22.2 #113-M1984 standards. Toto presents the dryer in stainless steel finish for excellent coordination with virtually every type of washroom environment. Toto, the premier manufacturer of the plumbing and sanitation accessories offers a whole new experience of providing exceptional customer service and enable you to attain granular control of everyday tasking. Integrating Toto in your lifestyle makes a huge positive change and helps you appreciate the freedom from mundane processes forever.